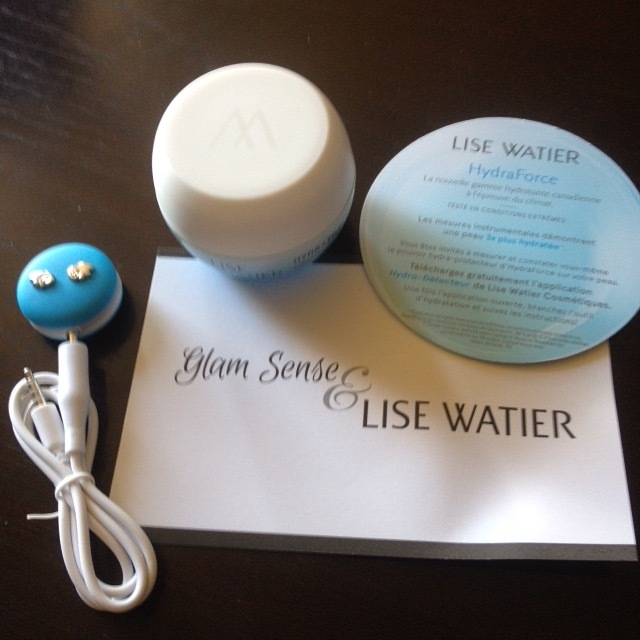 This product made @LiseWatierCanada was tested in very extreme conditions. I was very lucky to have been chosen to try and review #forfree @Glamsense and @TopBox. I thought the jar was very pretty nice shade of light blue. The #LiseWatier moisturizer as a very pleasant light fragrance . It also came with a very Clever Instrumental way to test the exact moisture your skin is getting in the different areas. So you know it is working also penetrating more in the areas that need more. It also helps to protect you skin with 3X more of hydration than other moisturizers. It leaves my skin so soft. very well moisturized while preventing dryness, redness and chapping. 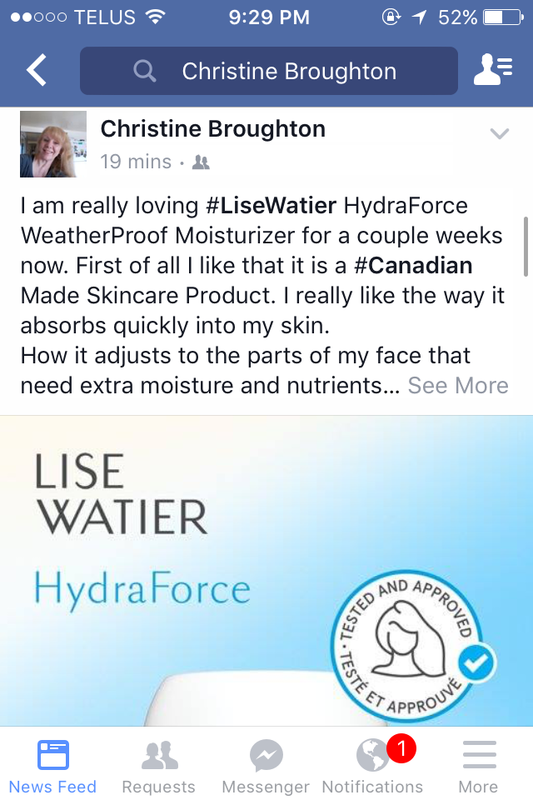 I was very impressed with how well #LiseWatier HydraForce Weatherproof Moisturizers works. Thanks so much @LiseWatier. @Glamsense and @TopBox for letting me be a part of this campaign. What a great moisturizer! I love that it came with the little device to check moisture levels, pretty amazing to see the moisture levels increase! Thanks hon I am really loving #LiseWatier Moisturizer also. Hope I can do blogs soon as nice as yours. Have a great Weekend. Are we following each other on WordPress I hope So ?